Draft: 2009, Chicago Cubs, 4th rd. Christopher Patrick Rusin … resides in Scottsdale, Ariz., in the offseason ... Enjoys playing golf in his free time ... Played three years at Divine Child High School in Dearborn, Mich ... Graduated from the University of Kentucky in May of 2009 … became Kentucky's first, first-team All-SEC pitcher since Scott Downs earned the honor in 1997. Made 49 relief appearances around two stints on the 10-day disabled list in his second season as a full-time reliever ... Placed on the 10-day disabled list for the first time on April 23 with a right intercostal strain and was reinstated on May 4 … placed on the DL a second time on July 24 with plantar fasciitis in his left foot and was reinstated on Aug. 9 ... Scored upon in 24 of his 49 appearances, including multiple runs in 16 games … scored upon four times in 14 appearances after his reinstatement from the DL on Aug. 9 (4.20 ERA) ... Appeared in each of the Rockies' four postseason games, tossing four scoreless innings with two hits, two walks and two strikeouts. Made a career-high 60 appearances, all in relief, going 5-1 with a career-best 2.65 ERA (85.0 IP, 25 ER) ... Five victories his most since a career-best six in 2015 ... Second in MLB, first in the NL, with 85.0 innings pitched as a reliever … tied for the seventh-most relief innings in Rockies history, the most since Josh Roenicke tossed 88.2 innings in 2012 ... Worked two-plus innings 17 times, including three or more five times … entered a game in the first inning three times … recorded a 1.26 ERA (43.0 IP, 10 ER) and a .223 batting average against when working two or more innings ... Scoreless in 40 of 60 appearances, his first season as a full-time reliever … allowed multiple runs five times, including season-high four runs on April 26 vs. Washington ... Did not make a start for the first time since 2014 ... Placed on the disabled list April 2 (retroactive to March 30) … made one rehab appearance for Triple-A Albuquerque, working 2.2 scoreless innings on April 6 vs. Salt Lake, allowing two hits … reinstated April 9 and made his 2017 debut vs. Los Angeles-NL, pitching two innings ... Scored upon eight times in 32 road outings, going 4-1 with a 1.88 ERA (48.0 IP, 10 ER), 11 walks and 34 strikeouts … since 2015, is 5-1 with a 1.82 ERA (69.1 IP, 14 ER) in 41 road games ... In 22 appearances from Aug. 4 to the end of the season, went 2-1 with a 2.10 ERA (30.0 IP, 7 ER), four walks and 28 strikeouts … in 11 appearances in August, allowed two runs in 17 innings (1.06 ERA) with 15 hits, two walks and 15 strikeouts ... Recorded two saves, the first of his career, both against Arizona … first save of his career on May 6 after pitching three scoreless innings to close the Rockies 9-1 win vs. Arizona, the 18th three-inning save in franchise history ... Made his first career postseason appearance in the NL Wild Card Game at Arizona … pitched 2.1 scoreless innings, allowing two hits and two walks with three strikeouts. Made seven starts, but was primarily utilized as a reliever and made 22 appearances out of the bullpen in his second season with the Rockies...As a starter, went 1-4 with a 5.08 ERA (39.0 IP, 22 ER), 15 walks and 28 strikeouts ... recorded three quality starts but pitched more than six innings in just one of his starts...Earned his only win as a starter in his last start of the season, June 8 at Los Angeles-NL … pitched six shutout innings, allowing three hits and one walk with three strikeouts...In 22 relief appearances, went 2-1 with a 2.58 ERA (45.1 IP, 13 ER), eight walks and 41 strikeouts … pitched two or more innings 12 times...Allowed two runs in two innings in his relief appearance Oct. 2, snapping a streak of nine consecutive scoreless outings … allowed two hits and no walks with 16 strikeouts in 10.1 innings pitched over that span...Was placed on the 15-day disabled list June 14 with a strained left shoulder … was reinstated July 27 and went 1-1 with a 3.03 ERA (29.2 IP, 10 ER) in his final 17 relief appearances of the season...Streak of 16.1 scoreless innings from April 8-May 23 … allowed five hits with two walks and 12 strikeouts over that span...Allowed Ichiro Suzuki's 3,000th hit in the seventh inning at Coors Field on Aug. 7, a game Colorado lost 10-7 to Miami. Made a career-high 22 starts with two relief appearances in his first season with the Rockies ... began the season with Triple-A Albuquerque before making his Rockies debut May 27 at Cincinnati. Began the season at Triple-A Albuquerque before being called up as the 26th Man May 6 prior to the Rockies doubleheader vs. Arizona, but did not appear. Was recalled and made his first start May 27 at Cincinnati, receiving no decision in the 5-2 Rockies loss. Pitched two complete games at Coors Field, the first on Aug. 16 vs. San Diego (shutout) and the second on Sept. 3 vs. San Francisco ... became the first Rockies pitcher to record multiple complete games in one season since Ubaldo Jimenez and Jhoulys Chacin both had two in 2011. Became the first Rockies pitcher to pitch two complete games at Coors Field since Aaron Cook in 2008 ... also became the 19th Rockies pitcher to throw a complete-game shutout, and the 13th to accomplish the feat in Denver (12th at Coors Field, last: Tyler Matzek Sept. 5, 2014 vs. San Diego). Was the first Rockies pitcher to log five consecutive quality starts (June 21-July 20) since Jhoulys Chacin had seven straight in 2013. Recorded his first career home run in the fourth inning on July 30 at St. Louis ... collected a career-high two hits and a career-high tying two RBI. Surrendered a career-high 12 hits and 11 runs in two innings pitched Aug. 22 vs. the Mets ... allowed eight doubles, the most by a Rockies pitcher in franchise history. Went 3-2 with a 6.29 ERA (34.1 IP, 24 ER) in seven games, six starts, for Triple-A Albuquerque. Began the year at Triple-A Iowa before being recalled on April 12 for the first of three stints with Chicago-NL...Made four relief appearances, all of at least two innings...did not receive a decision in those four games...allowed 10 runs over 12.2 innings...His longest appearance was on April 12 at St. Louis...threw five innings and allowed one run on three hits...On July 5, struck out a season-high four over 3.2 innings...Went 8-13 with a 4.31 ERA (146.1 IP, 70 ER), 38 walks and 97 strikeouts in 23 starts for Iowa...Was 2-4 with a 2.63 ERA (41.0 IP, 12 ER) in six May starts, including a no-hitter on May 7 at New Orleans...the no-hitter was the first of his career and the first no-hitter in the PCL in five years...he threw 118 pitches over the nine innings and struck out three with two walks. Chris posted a 3.93 ERA with a 2-6 record in 13 starts spanning two stints with Chicago ... spun 22.1 consecutive scoreless innings on the road from July 27-September 12, the longest stretch by a Cubs left-handed rookie pitcher in franchise history... Between Triple-A Iowa (121.0 IP) and the Cubs (66.1), tossed a career-high 187.1 innings... Pitched to a 2.64 ERA (13 ER/44.1 IP) in his first eight big league starts, July 2-August 25 ... had a 6.55 ERA (16 ER/22.0 IP) in his final five outings... His 3.03 ERA (13 ER/38.2 IP) in seven road starts was more than two runs lower than his 5.20 home ERA (16 ER/27.2 IP) in six outings... Twice pitched a season-high 7.0 innings: July 27 at San Francisco (0 ER) and September 12 at Pittsburgh (2 ER)... Recalled, July 2, and made the start in Oakland after Scott Feldman was traded to Baltimore earlier in the day ... optioned back to Iowa following the start... Recalled again, July 22, and made the spot start in Arizona following Matt Garza's trade to Texas... earned the win, allowing two runs in 5.0 innings, and remained in the rotation the rest of the season... Received a no-decision in Chicago's 1-0 victory, July 27 at San Francisco … tossed a career-high, 7.0-scoreless innings, allowing just three hits while walking two and fanning three … it marked his first-career quality start... Opened the game with 4.2-hitless innings before allowing a Joaquin Arias single... Named a Pacific Coast League All-Star, going 8-7 with a 3.35 ERA (45 ER/121.0 IP) in 19 games (18 starts) for Iowa... June 17 vs. Omaha, pitched the first complete game and shutout of his career, allowing five hits, one walk and matching his season-high with eight strikeouts in the I-Cubs 2-0 victory... It marked the first 9.0-inning, complete-game shutout by an I-Cubs pitcher since Sergio Mitre turned the trick in 2004 … the shutout was part of a career-high, 24.0-scoreless innings streak spanning four starts, June 7-22. Chris spent a majority of the season with Triple-A Iowa prior to making his major league debut with the Cubs, August 21 in Milwaukee ... all told, he made seven starts for Chicago, going 2-3 with a 6.37 ERA (21 ER/29.2 IP)...Allowed two or fewer walks in six of his seven major league starts....Tossed a season-high 5.0 innings in five of his seven outings, and held the opponent to two or fewer runs in four starts....Left-handed hitters batted .273 (9-for-33) against him ... right-handed batters hit .330 (29-for-88)....Made his major league debut, August 21 in Milwaukee ... allowed one run on one hit, while walking two and fanning four in 5.0 innings, but was tagged with the loss....Was perfect through 3.0 innings until hitting Norichika Aoki to lead off the fourth frame ... recorded his first big league hit with a triple off Marco Estrada in his first at-bat (1-for-2)....Went 8-9 with a 4.55 ERA (71 ER/140.1 IP), 53 walks and 94 strikeouts in a team-leading 25 starts with Triple-A Iowa ... at the time of his promotion to the big league club August 21, led all of Triple-A with 11 pickoffs....Averaged six strikeouts per 9.0 innings at Triple-A....Named Pacific Coast League Pitcher of the Week for May 7-13 ... in two starts during the period, went 2-0 with a 0.64 ERA (1 ER/14.0 IP), four walks and 12 strikeouts....Batted .265 (9-for-34) with two walks, five runs and three RBI with Iowa. Chris started the season at Double-A Tennessee, going 3-2 with a 3.91 ERA (33 ER/76.0 IP) in 15 starts, before he advancedto Triple-A Iowa in early July...went on to post a 5-2 mark with a 4.02 ERA (28 ER/62.2 IP) in 11 games (nine starts)...Held left-handed hitters to a .174 average (12-for-69) at Double-A...righties batted .297 (68-for-229) against him...Lowered his ERA in each of his three months with Tennessee: had a5.40 ERA (15 ER/25.0 IP) in April, a 3.68 mark (9 ER/22.0 IP) in Mayand a 3.52 ERA (11 ER/23.0 IP) in June...Issued just 14 walks in 62.2 innings pitched with Iowa...Allowed just one run in 8.0 innings of work in two appearances out ofthe bullpen, July 17-22, for the I-Cubs. Pitched in 24 games (21 starts) between Single-A Daytona and Double-A Tennessee, combining to go 6-4 with a 3.11ERA (38 ER/110.0 IP)...allowed just six home runs and 19 walks in 110.0 innings while striking out 99...Began the campaign with Daytona, and was 4-3 with a 3.36 ERA (34 ER/91.0 IP) in 20 games (17 starts). Was 4-1 with a 2.80 ERA (26 ER/83.2 IP) in his final 18 games (15 starts) after going 0-2 with a 9.82 ERA (8 ER/7.1 IP) in his first two outings...Held left-handed hitters to a .153 average (11-for-72) while with Daytona...Promoted to Tennessee at the start of August, and was 2-1 with a 1.89 ERA (4 ER/19.0 IP) in four starts. Chris began his pro career by appearing in 10 games (nine starts) between Rookie-League Mesa and Single-A Boise...allowed just one home run in 36.0 innings, walking 12 and striking out 29. March 28, 2019 Colorado Rockies placed LHP Chris Rusin on the 10-day injured list retroactive to March 25, 2019. Mid-back strain. August 9, 2018 Colorado Rockies activated LHP Chris Rusin from the 10-day injured list. August 3, 2018 Colorado Rockies sent LHP Chris Rusin on a rehab assignment to Albuquerque Isotopes. July 24, 2018 Colorado Rockies placed LHP Chris Rusin on the 10-day disabled list. Left plantar fascitis. May 4, 2018 Colorado Rockies activated LHP Chris Rusin from the 10-day disabled list. April 23, 2018 Colorado Rockies placed LHP Chris Rusin on the 10-day disabled list. Right intercostal muscle strain. April 9, 2017 Colorado Rockies activated LHP Chris Rusin from the 10-day disabled list. April 6, 2017 Colorado Rockies sent LHP Chris Rusin on a rehab assignment to Albuquerque Isotopes. April 2, 2017 Colorado Rockies placed LHP Chris Rusin on the 10-day disabled list retroactive to March 30, 2017. Right oblique strain. July 27, 2016 Colorado Rockies activated LHP Chris Rusin from the 15-day disabled list. July 14, 2016 Colorado Rockies sent LHP Chris Rusin on a rehab assignment to Albuquerque Isotopes. May 26, 2015 Colorado Rockies recalled LHP Chris Rusin from Albuquerque Isotopes. May 7, 2015 Colorado Rockies optioned LHP Chris Rusin to Albuquerque Isotopes. May 6, 2015 Colorado Rockies recalled Chris Rusin from Albuquerque Isotopes. March 22, 2015 Colorado Rockies optioned LHP Chris Rusin to Albuquerque Isotopes. September 29, 2014 Chris Rusin roster status changed by Colorado Rockies. September 27, 2014 Colorado Rockies claimed LHP Chris Rusin off waivers from Chicago Cubs. August 10, 2014 Chicago Cubs optioned LHP Chris Rusin to Iowa Cubs. July 30, 2014 Chicago Cubs recalled Chris Rusin from Iowa Cubs. July 9, 2014 Chicago Cubs optioned LHP Chris Rusin to Iowa Cubs. July 5, 2014 Chicago Cubs recalled Chris Rusin from Iowa Cubs. April 13, 2014 Chicago Cubs optioned LHP Chris Rusin to Iowa Cubs. April 12, 2014 Chicago Cubs recalled Chris Rusin from Iowa Cubs. March 30, 2014 Chicago Cubs optioned LHP Chris Rusin to Iowa Cubs. July 22, 2013 Chicago Cubs recalled Chris Rusin from Iowa Cubs. July 3, 2013 Chicago Cubs optioned Chris Rusin to Iowa Cubs. July 2, 2013 Chicago Cubs recalled Chris Rusin from Iowa Cubs. March 22, 2013 Chicago Cubs optioned Chris Rusin to Iowa Cubs. September 4, 2012 Chicago Cubs recalled Chris Rusin. August 31, 2012 Chris Rusin assigned to Tennessee Smokies from Iowa Cubs. August 25, 2012 Chicago Cubs optioned Chris Rusin to Iowa Cubs. August 21, 2012 Chicago Cubs selected the contract of Chris Rusin from Iowa Cubs. January 30, 2012 Chicago Cubs invited non-roster LHP Chris Rusin to spring training. October 14, 2011 LHP Chris Rusin assigned to Leones del Escogido. July 5, 2011 Chris Rusin assigned to Iowa Cubs from Tennessee Smokies. March 6, 2011 LHP Chris Rusin assigned to Chicago Cubs. 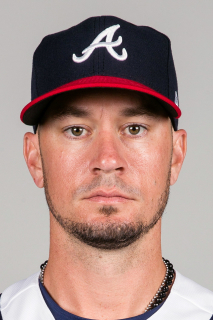 September 19, 2010 Chris Rusin roster status changed by Tennessee Smokies. September 5, 2010 Tennessee Smokies placed LHP Chris Rusin on the 7-day disabled list. August 2, 2010 LHP Chris Rusin assigned to Tennessee Smokies from Daytona Cubs. April 30, 2010 Chris Rusin roster status changed by Daytona Cubs. April 19, 2010 Chris Rusin roster status changed by Daytona Cubs. April 16, 2010 Daytona Cubs placed LHP Chris Rusin on the 7-day disabled list. April 5, 2010 LHP Chris Rusin assigned to Daytona Cubs from Boise Hawks. July 24, 2009 Chris Rusin assigned to Boise Hawks from AZL Cubs. July 7, 2009 Chris Rusin assigned to AZL Cubs from Chicago Cubs. July 6, 2009 Chicago Cubs signed LHP Chris Rusin.